If you're visiting Cleveland, Ohio, for the winter holidays, chances are you might find yourself in need of a hot meal, even on Christmas Day. Fortunately, not all restaurants and local business close down for the annual celebration, so you can visit one of these great establishments if you're looking for a great meal. Whether you're just looking to avoid cooking a Christmas feast or don't celebrate the holiday at all, you've still got options for a great meal in Cleveland. Fast-food establishments typically stay open during the holidays, and there are still a number of great sit-down restaurants where you and your family can enjoy a full, healthy meal. 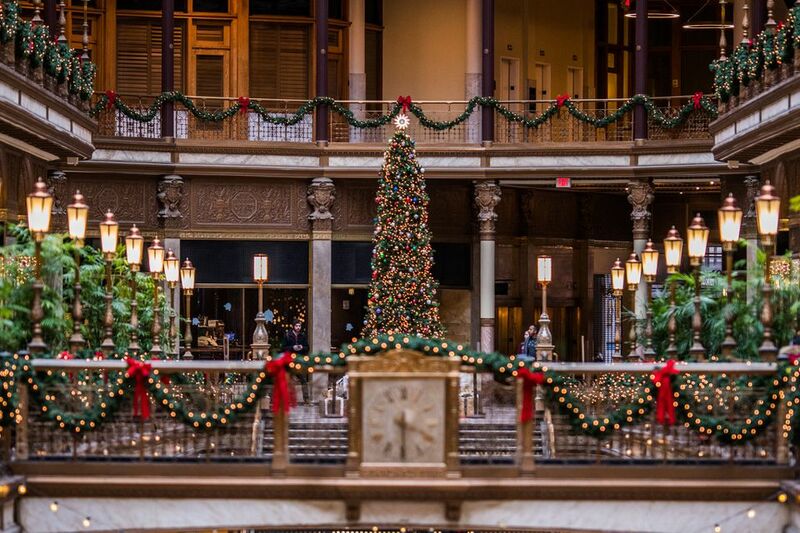 Check out the following list of restaurants, explore their websites to find special holiday hours and menus, and plan your trip to Cleveland without worrying about where you're going to eat on Christmas Day. Several restaurants and dining establishments around Cleveland actually offer special dinner menus to celebrate the Christmas holiday. So if you and a few close friends or family members are looking to escape the chore of cooking on this special day, consider booking a reservation for a curated meal courtesy one of the fine dining restaurants in the area. Shula's 2 Steak & Sports Bar at the DoubleTree by Hilton, TURN Bar + Kitchen at the Ritz Carlton, and 1890 Restaurant at the Hyatt Regency is open on both Christmas Eve and Christmas Day, but keep in mind that reservations at these restaurants fill up the quickest as the establishments are located inside massive hotels that host many Christmastime travelers. For a special treat during the holidays, stop by SASA Restaurant and ask for its annual "Christmas Story" Orange Cured Peking Duck (locally called "Chinese Turkey") so you can relive the "Bo(w)ling Chop Suey Palace" scene from Cleveland's favorite Christmas movie: A Christmas Story. Although these places don't offer special meals for the Christmas holiday itself, many of them do feature seasonal favorites that tie into the holiday traditions. Consider going to the AMP 150 near the Airport Marriott for a culinary treat, or check out the local favorite Harry's Steak House, which offers its full menu even on the special holiday. Alternatively, you can visit Table 45, Guarino's, or Moxie, the Restaurant for some high-quality eats. You could also visit Morton's the Steakhouse or Urban Farmer Cleveland for some high-end eats, Parker's Downtown or Ruth's Chris Steak House for a mid-range meal, or Rock Creek Kitchen and Bar or The Burnham Restaurant for a cheaper yet still tasty meal. If you don't feel like being in the city itself, head out to Mapleside Farms in Brunswick for a unique farm-to-table brunch experience or The Cabin of Willowick in Willowick for some surf and turf options. For an all-inclusive accommodation and dining experience at Geneva-on-the-Lake, consider booking the Christmas holiday weekend at The Lodge at Geneva-on-the-Lake, which includes a candlelit Christmas dinner.